The Mayan Elder and Spiritual Leader, Don Alejandro met and hug Hopi Grandfather Martin at the Return of the Ancestors gathering April 26, 2008. This was the first time they met. 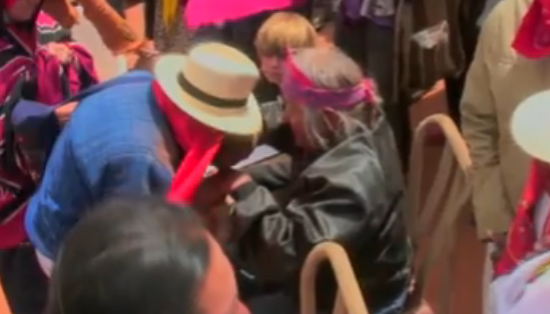 The Mayan Elder and Spiritual Leader, Don Alejandro met and hug Hopi Grandfather Martin at the Return of the Ancestorsgathering April 26, 2008. *This video is in slow motion.